“Teaching Israel” is proud to offer unique and challenging Israel programs, which encourage truly open thinking, to English-speaking Diaspora youth from 10th-12th grades, through clients such as Jewish day schools, Zionist youth movements, Zionist youth groups, Jewish camps, and synagogues/temples. These distinctive Israel programs are intellectually and academically rigorous, and encourage the development of knowledge and skills, while exposing participants to values and attitudes, without promoting a particular set of beliefs and practices. “Teaching Israel” Israel programs aim to develop independent, analytical and critical thinking, without regard for accepted orthodoxies, while at the same time facilitating the engagement of participants with the Land, People and State of Israel. This discussion takes place in the context of a mifgash (encounter) with Israeli peers, based on the notion that Israel is of central importance to the Jewish people wherever they may reside, and that Jews’ relationships to Israel should be developed in the framework of an active and ongoing Israeli/Diaspora Jewish dialogue. “Teaching Israel” offers a pluralistic approach to Jewish belief and practice, while at the same time not shying away from incorporating textual learning and spiritual moments into our Israel programs. This exposes participants to 'Jewish heritage,’ in a non-coercive and non-judgmental framework. We encourage participants to engage with Jewish tradition on their own terms, within the context of their existing values, and in an open-ended fashion. Facilitation of participants' spiritual development – in diverse modes, matching the needs and desires of the participants themselves – is an integral component of our Israel programs. “Teaching Israel” Israel programs offer not only intellectually rigorous experiences, but ones that engage participants on an emotional level too. “Teaching Israel” Israel programs facilitate a transformative experience, which truly changes students' lives in regard to their Jewish identity, their relationship to Israel, their personal identity, and their ability to act as independent and critical thinkers and students. What are the aims of a “Teaching Israel” Israel program? e) For those participants who did not already hold strong opinions: A sense that such positions and opinions are forming through critical exposure to a wide range of approaches to important, provocative, and engaging issues. Why engage “Teaching Israel” to organize your institution’s Israel program? The ‘added value’ of engaging “Teaching Israel” to run an Israel program is the unique educational conception, planning, development, execution and evaluation which we offer. Our approach incorporates thematic elements, rather than concentrating solely on chronology or geography. We employ the use of Jewish texts, primary and secondary sources, song and poetry, discussions and debates, and other methodologies to enrich the teaching and learning process. What really makes “Teaching Israel” Israel programs unique is that we facilitate a teaching and learning approach which allows participants to grow as students and learners, helping them to become independent thinkers in their own right. We want our participants to ask pertinent questions, rather than give them answers. In short, we do not facilitate Israel tourism experiences, but rather intellectually rigorous and demanding educational experiences, within the context of visiting key Israeli sites, hikes, and attractions. “Teaching Israel”’s programs are about helping participants foster a deep and serious relationship with Israel, Judaism, and the Jewish people, without leaving their existing values at the door. We want to provide opportunities that help participants become better, more informed, thoughtful, and critical versions of themselves – not to change them into anybody else, or have them adopt other people’s beliefs and practices. Please contact director@teachingisrael.com or +972-546-911-001 to discuss how “Teaching Israel” can work in partnership with you to facilitate an Israel program for your institution. 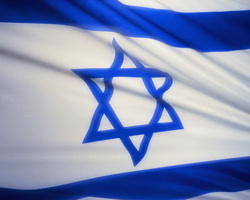 Please note that we specialize in short- and medium-term Israel programs (approximately 2-8 weeks in length).